We have been in PCI-DSS for six years. When we began back in 2010, we were tasked by one of our offshore customers in Brunei to get them “PCI” certified. Honestly, back then, early 2010, we were mainly doing IT audits under COBIT, a lot of penetration testing, some IT forensics and bogged down with piles of ISO27001 ISMS opportunities.Back then PCI was more known as Peripheral Card Interconnect, which are those add-on cards that you slot into your motherboard back in the days when you wanted to extend your network interfaces, graphics accelerators etc. I used to build computers in those dodgy computer shops back in the days, so I kind know that very well. 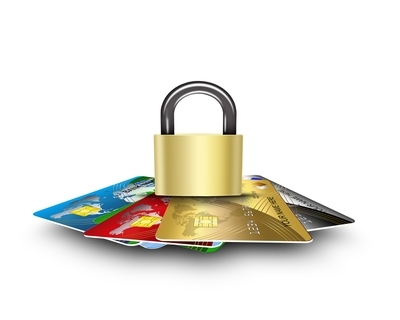 Fast forward six years, and now we are getting more and more queries for PCI-DSS. So much so that we have dedicated an entire team from our company to work only on PCI-DSS projects. In earlier years, we brought our PCI clients through their first year certification, and many of them are now going through their 2nd, 3rd year recertification etc.You would think that most companies will find re-certification easy compared to the first time certification. The thing about PCI is, during the re-certification, there is a lot more expectations on your organisation for compliance. An example – PCI requires logs to be retained 3 months online, 12 months offline. It also requires daily log reviews, as well as quarterly internal and external vulnerability scans. Now for the first time certification, some of these requirements get a free pass: meaning, if our client had just installed a SIEM and only has 2 – 3 months logging set up, we verify those controls and based on those controls, we can pass their PCI. We don’t need to wait for 12 months to get the offline requirement passed. Likewise, if our client provides us with one internal and external scan, we can pass them for first time, we do not need a 4 quarterly scan before we sign off on the initial AoC. Whenever we conduct our audits, we conduct it onsite. Onsite, the QSA will verify these controls if they are in place or not. On top of that, we require audit evidences. This is normal even out of PCI – in our governance audit or ITGC we often rely on audit artefacts (we call it), to supplement our opinion on whether certain controls are in place. In PCI, these evidences might come in forms of documents, policies, screenshots, configs etc – anything that can prove controls are in place, and effective, and accordingly used as per PCI requirements. The onsite audit confirms these controls. The evidences supplement the QA process. Each QSA needs to go through a stringent QA (quality assurance) process internally, whereby, the QA requires supplementary evidences to prove why the QSA arrives to such and such an opinion. Therefore, there is always that post-audit work of compiling audit evidences. Some clients are of the opinion that the onsite audit should end the process and the auditor passes PCI then and there. Unfortunately it’s not so simple as there is a check and balance involved. An example is this: one of our clients recently added in a few out of scope devices into the CDE. During the onsite audit, we referred these and requested these systems removed or resettled in another segment. They said, OK, we will put it in another VLAN. So, if they do that, is that ok? We said OK.
You see – as auditors, we simply cannot trust you for your word. It’s not personal. It’s not that because we find you are a shifty trader looking to spin some yarn and fleece us of our money. It’s simply because it’s part of our job. Evidences provide us with some measure of assurance that these controls are done correctly and in place. It’s not that we question your integrity. It’s strange that even at this stage, many people find this difficult to accept, and we have gone through many, many strange situations whereby I have faced a red-faced, yelling executive thinking that I am personally insulting him and his family name by not trusting what he is saying. Audit evidences. It’s part of PCI. There are of course some exceptions, such as certain private and confidential documents or config that cannot be shared – even in that case, we generally ask these information to be anonymized, but evidences to be submitted all the same: for instance, evidence of VLAN config, you can screenshot the config, and remove elements deemed sensitive (IP Address, versions, other information etc). In summary – the second year onwards, this is where the real PCI battles begin. Your recertification efforts will be a whole lot more than the first time, so get started early. We will be posting more articles on tips and actions that will make your PCI certification successful. In the meantime, drop us a note at pcidss@pkfmalaysia.com and we will attend to any queries you have. This entry was posted in IT Audit, IT Compliance, IT Security, PCI-DSS, Technology and tagged ISO27001, pci, pci certification, pcidss malaysia by pkfavantedge. Bookmark the permalink.